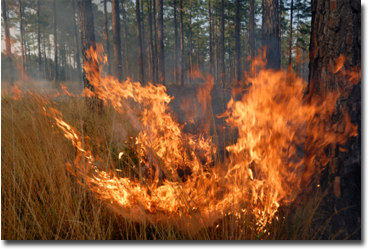 Prescribed Burning Insurance developed by Outdoor Underwriters is unlike anything previously available in the marketplace. Prescribed Burn Liability coverage is intended to provide private landowners the ability to conduct a prescribed burn on their property. For private landowners the premium may even be tax-deductible. Master policies can be issued to consultant foresters and wildlife biologists who burn for multiple landowners. All certified or graduate foresters can apply for our commercial general liability insurance. A forester's special liability form is available with limits up to $1,000,000. The forester's special liability coverage include herbacide application, prescribed burn liability, smoke liability and professional errors and omissions.